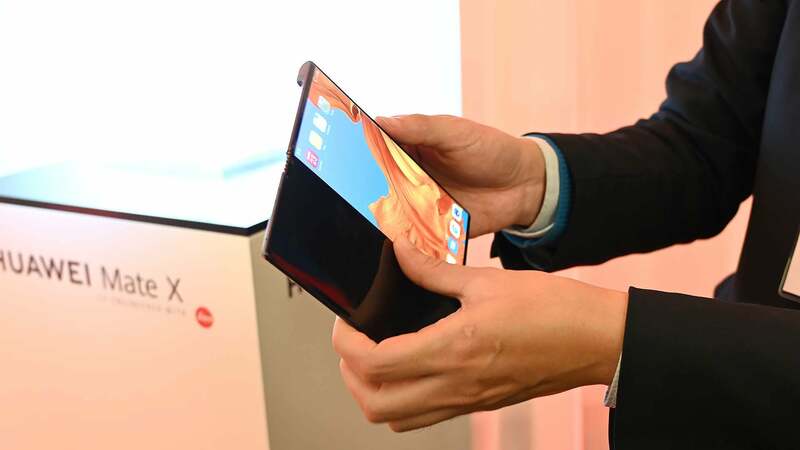 In case you thought Samsung’s $US2,000 ($2,805) Galaxy Fold was a singular shot at making a flexible phone, check this out. 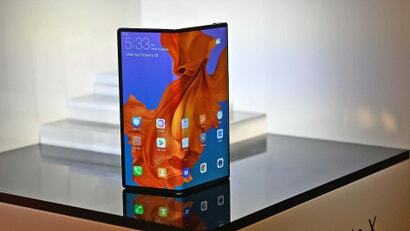 At MWC 2019, the Huawei Mate X shows how serious the bendy screen movement really is. 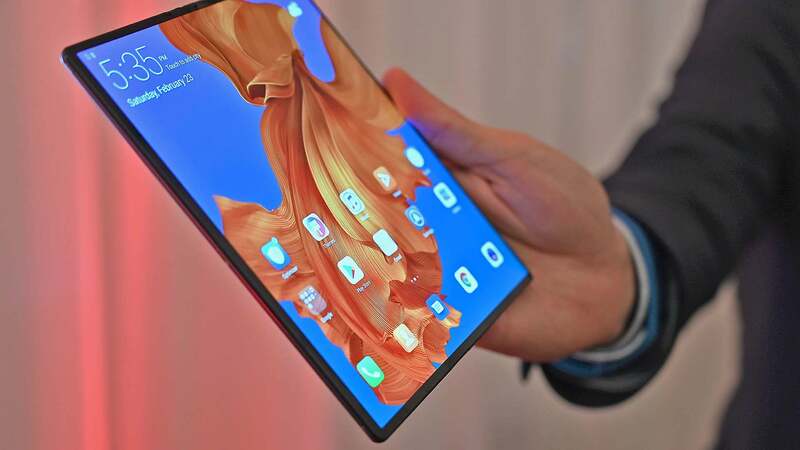 Featuring what Huawei calls a falcon wing hinge and a flexible exterior screen, the Mate X’s design is almost the exact opposite of what Samsung did with the Galaxy Fold. 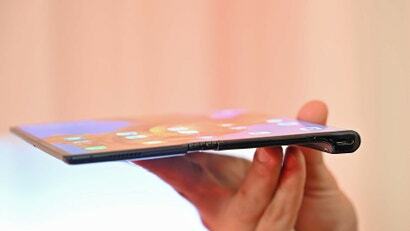 And thanks to Huawei’s alternative layout, the Mate X gains some notable advantages over Samsung’s take. Editor's Note: There's no Australian pricing or availability as yet, but at €2299, it ain't gonna be cheap. It'll be out globally in mid-2019. 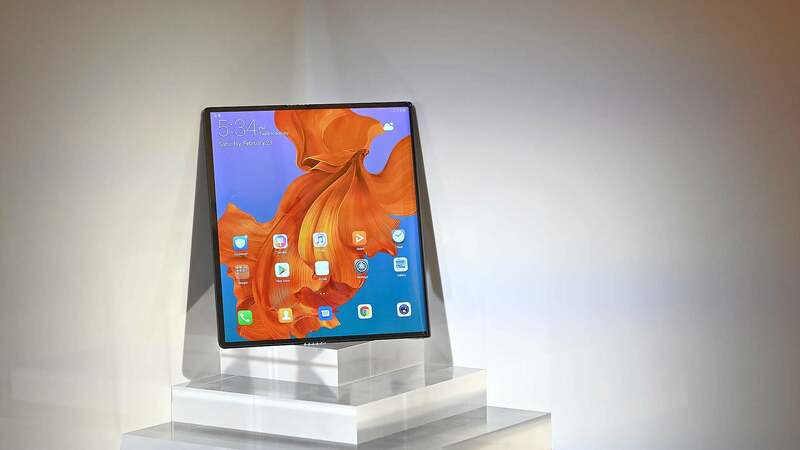 The first is that Huawei didn’t need to equip with Mate X with a third screen as we saw on the Galaxy Fold, because when closed, the Mate X’s 8-inch 2480 x 2200 bendy screen simply transforms into two displays in front and back measuring 6.6-inch and 6.38-inch, respectively. That’s a huge jump up from the 4.6-inch exterior cover screen on the Galaxy Fold, which is the only screen you can use when Samsung’s bendy phone is closed. 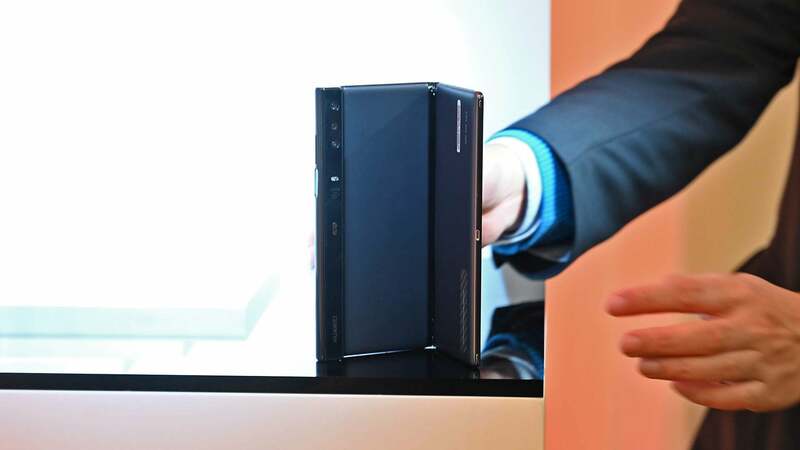 On top of that, unlike the Galaxy fold, the Mate X doesn’t have any notches anywhere on its body, and because when closed, the Mate X has a screen on both sides, Huawei was also able to streamline the number of cameras on the Mate X down to four, compared to the six total cameras featured on the Galaxy Fold, with a row of cameras on the back of the phone no matter whether folded or open. 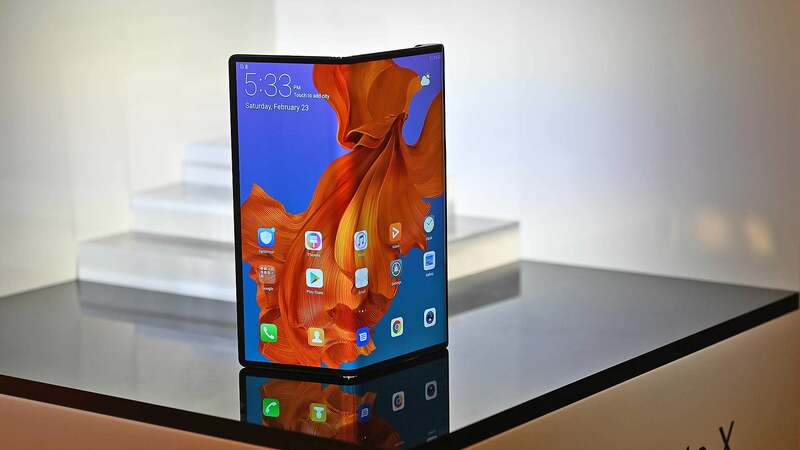 Because you can always see at least one screen when folded, Huawei didn’t need to add cameras to every side of the device. However, that 8-inch screen also has its own small issue, because with an aspect ratio of 8:7.1 when fully expanded, the Mate X’s screen is nearly square, which means you’re going to get some pretty severe letterboxing when watching videos. 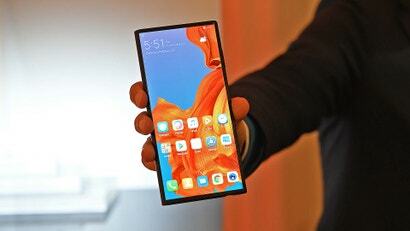 Elsewhere, Huawei loaded up the Mate X with some frankly ridiculous sounding specs including a 4,500 mAh battery, a combo fingerprint reader/power button, and a brand new Balong 5000 5G modem (because of course, this thing has 5G) that Huawei claims can download a 1GB movie in less than three seconds. That translates to overall download rates in excess of 4 Gbps, a figure that Huawei says is more than twice the top speed of Qualcomm’s current 5G modem, the Snapdragon X50. 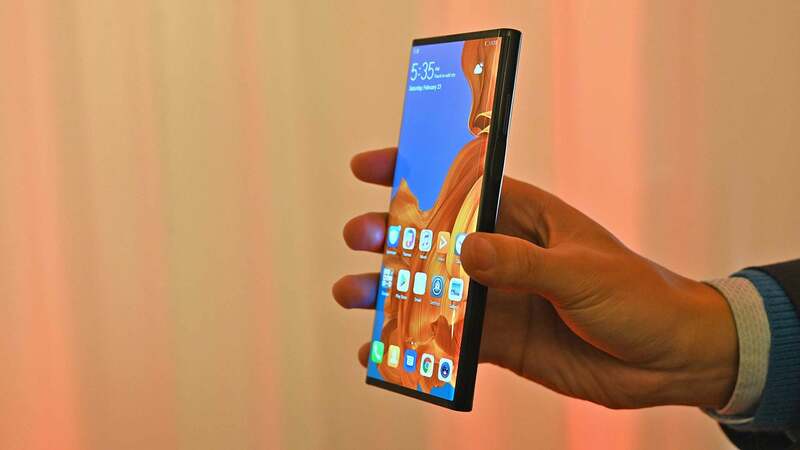 Those blistering speeds come as the result of Huawei having expertise making both cellular modems for mobile devices, and the networking equipment those cell networks run on. Though as numerous three-letter security agencies have pointed out repeatedly, that’s also one of the big reasons U.S. policymakers have become so wary of Huawei lately. To recharge that big ‘ole battery, Huawei gave the Mate X an incredible 55-watt power adaptor that can juice up the phone from zero to 85 per cent in just 30 minutes. By comparison, that’s double the max 27-watt charging speeds offered by Qualcomm Quick Charge 4.0 supported devices. And while Samsung has yet to release official dimensions and thickness for the Galaxy Fold, based on what we’ve seen so far, its hard to imagine that the Fold will be thinner than the Mate X, which measures 11mm thick when closed, or just 5.4mm thick when laid out flat. However, there is one feature that seemingly ruins the Mate X’s sleekness: an exaggerated bar attached to the far right side of the phone. 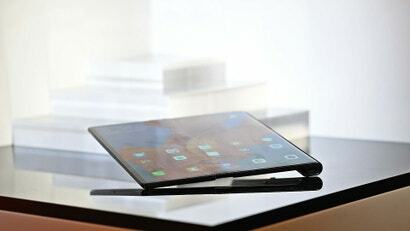 For this feature, Huawei may have been inspired by the Kindle Oasis, which also features an asymmetrical design that Amazon uses to make its flagship ereader easier to hold one-handed. 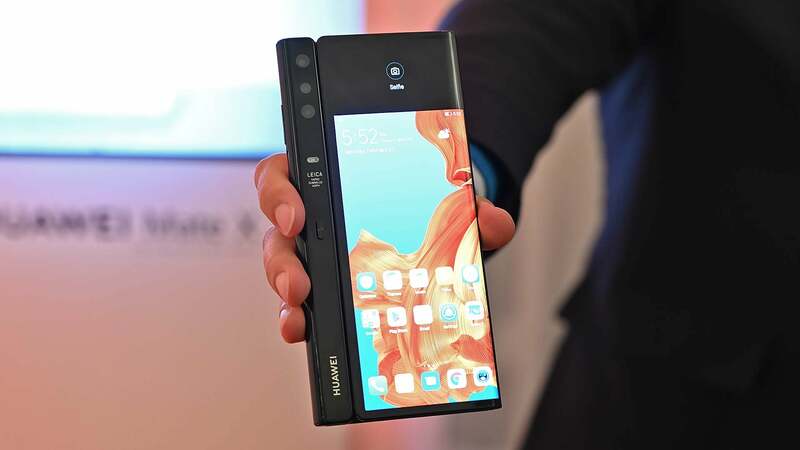 Unfortunately, since Huawei didn’t let anyone physically touch the Mate X during its MWC 2019 press event, it’s difficult to say how effective its lop-sided design really is. But that sort of brings us back to thinking about all the other things we don’t know about the Mate X quite yet, including its price or availability. But for me, my biggest question about the Mate X is the faint ripple you can see on its screen from when viewed from acute angles. From the front, those wrinkles are almost imperceptible, but it highlights one of the biggest concerns about bendy-screen devices: their durability. 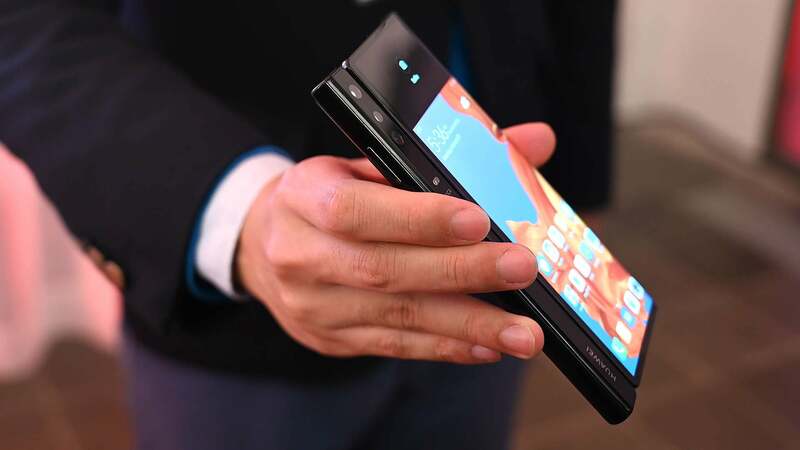 And as polished as both the Galaxy Fold and Mate X appear compared to the bold, but janky Royole FlexPai, it’s hard to imagine that even as slick as both phones look, either Samsung or Huawei completely nailed flexible screen tech on their first attempt. But don’t let my musings dull the sheer audacity of the Huawei Mate X. 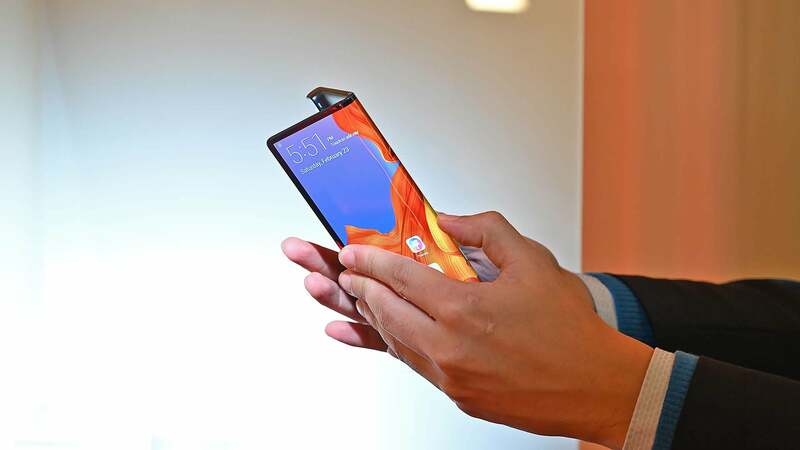 Even as something that’s both a showpiece and proof-of-concept, I couldn’t agree more with my colleague that I absolutely love how weird phones have become in just the last month or so. There’s still so much more I want to know about all of these outrageous, bendable devices, and hopefully, we won’t have to too much longer to actually experience them for real.